DESPITE scoring their first goal in five years, it looks like the Ke Yona team coaches, which includes former Bafana Bafana mentor Ephraim “Shakes” Mashaba, will need to dig even deeper in order to find the cream of crop that can make history by upsetting the Nedbank Cup champions. The quartet of Mashaba, Owen Da Gama, Khabo Zondo and Mike “Sporo” Mangena have not registered a victory in five years. This should be a worrying factor for them now. It has simply been too long. Zanoxolo Mduli became the first player from the Ke Yona team to find the back of the net – hopefully a huge motivation for next year’s group that will form part of the Ke Yona team. SuperSport United coach Eric Tinkler was a man on mission as he threw in his strong starting line-up which included the likes of Reneilwe Letsolonyane, Thuso Phala, Sifiso Myeni, Tefu Mashamaite, Teboho Mokoena as well as Aubrey Modiba, himself a graduate of the Ke Yona squad. 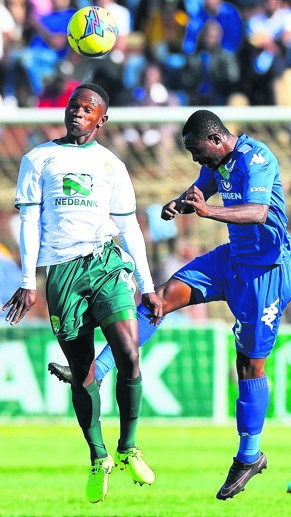 The Ke Yona team put up a good fight when they suffered a respectable 2-1 defeat to the two times Nedbank Cup champions at Tembisa’s Makhulong Stadium yesterday. Phala and Modiba’s first half goals proved to be the difference until Mduli pulled one back for Ke Yona in the dying minutes of the match. Last year Ke Yona lost 1-0 to Matsatsantsha at Daveyton’s Sinaba Stadium. This was the fifth edition of the Ke Yona Cup and the team that is led by the quartet of coaches still haven’t won any match from regular time. In 2013 they lost to Kaizer Chiefs on penalties, Orlando Pirates defeated them 2-0 in 2014 and that was followed by a Mamelodi Sundowns 2-0 defeat in 2015. Tinkler is the first coach to defeat Ke Yona team twice. He did it in 2014 with Pirates, and now with Matsatsantsa.